Dental implants are a fixed, long-term solution. They are strong, comfortable and very natural-looking, and for the significant majority of patients, they are the best option for replacing missing teeth. The dental implant itself is an artificial root made from titanium, integrating over time to become part of the jawbone. An implant can hold a single replacement dental crown, a bridge or a denture, depending on how many teeth are missing. Tooth implants are virtually indistinguishable from your own teeth, allowing you to enjoy an attractive and natural-looking smile once more. As well as this, when teeth are lost, the surrounding bone tends to shrink, resulting in the ageing ‘caved in’ look. The bone can be preserved by the placement of dental implants, with the shape and the structure of the lips and cheeks maintained. They look and perform like natural teeth. There is no artificial plastic on the roof of your mouth and the need for adhesives or denture creams is eliminated. There is no fear of your teeth slipping or falling out. There will be no need to avoid any activities and you will not need to worry about what you eat. They have no impact on the surrounding healthy teeth. Dental implants can be placed and the new crown fitted without damaging healthy adjacent teeth. They have a very high success rate. With over decades of clinical research, dental implants have a 97% or higher success rate. Here at Blossom Dental Care, we only use dental implants from world leading companies. We work very closely with Dentsply Implants, who have 25 years of clinically validated research, to ensure that we can give you the best long-term solution for your smile. There are cheaper systems available, but they do not have the research, quality, backup and reliability that we require. We are also aware of clinics in the UK using copy implants, and just like any other fake goods, they rarely live up to expectations. We will never risk our patients’ care, security and the longevity of their results with fake implant components. We also use advanced 3D imaging as part of our work, helping us to achieve fantastic results for our patients. Our State-of-the-Art 3D digital imaging machine is some of the most advanced technology available, allowing us to look at your jaw bone from all angles, contributing to accurate planning and safe surgery. Why Choose Blossom Dental Care for your Dental Implants in York? The tooth implant expert here at Blossom Dental Care is James Harrison, who is also our clinical director. James is an experienced implantologist, with a high success rate when working with dental implants. He is also a member of the ADI (Association of Dental Implantology), the largest organisation in the UK dedicated to improving the standards of implant dentistry. As a whole, we are an award-winning practice that focuses on providing unparalleled patient care and offers the highest quality dentistry available. In the Dentistry Awards, the Oscars for the dental profession, we were honoured to receive the award for Best Practice in the whole of the UK for 2018. Our team of professionals are very passionate and dedicated to providing patients with the very best treatments and solutions to their dental issues, whilst also delivering a fantastic service. We have carefully chosen a great team of people here at Blossom Dental Care, winning Best Dental Team in the whole of the UK, whilst our Treatment Co-ordinator and Senior Implant Nurse, Beverley Langan, received Best Team Member. 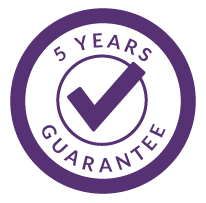 We are so certain of the excellent quality and craftsmanship of our dental work that we are happy to guarantee dental implants for 5 years. All we ask is that patients attend a minimum of two hygiene sessions at our studio in York, in each year following the completion of treatment, whilst also following the recommended maintenance programme that we provide. Here at Blossom Dental Care, we specialise in providing dental implants in York. Dental implants are the perfect, long-term solution to replacing your missing teeth. We are so certain of the excellent quality and craftsmanship of our dental work that we are happy to guarantee dental implants for 5 years. All we ask is that patients attend a minimum of two hygiene sessions in each year after completion of treatment and follow the recommended maintenance programme we provide. Dental implants replace missing teeth and look and feel like the real thing. They can replace single or several missing teeth and can also be used to securely fix dentures. The implant is a titanium screw that is placed beneath the gum line and into the jawbone. This small surgical procedure is carried out under local anaesthetic. Over time the surrounding bone begins to integrate with the implant, which essentially acts as an artificial tooth root. When healing is completed, individual crowns or bridges can be attached to the implants. Healing usually takes from 3 to 6 months so it’s possible to wear temporary crowns or bridges during this time. We will numb your gums so that you do not feel any discomfort, whilst we can also offer sedation for anxious or nervous patients. Afterwards, over the counter painkillers are normally enough to control any discomfort, even after extensive treatment. This does depend on factors such as the severity of any gum disease and individual needs, but generally tooth implant treatment takes between 3 and 6 months. * If you have any failing teeth, the first step would be to remove them before the implant process begins. The implants would then be placed into the gum and jawbone and left to heal for at least 3 months. An impression is taken and our state of the art laboratory will make your bespoke crown and/or bridge before it is fitted onto the implant at your final appointment. What will the new teeth look like? We’ll do everything we can to make sure you feel confident and comfortable with your new smile. That means ensuring you have the opportunity to preview your smile before it’s fitted. For most patients, we can also give you the chance to see how your smile will look in your own mouth before any work is carried out. If you care for dental implants properly, they can last for many years. One of their great benefits is that you care for them just as you would natural teeth. You’ll need to brush twice a day and floss once a day, and it’s also essential to attend check-ups and hygiene appointments. It is often the case that anybody with missing teeth can benefit from having dental implants, with very few cases leading to an individual unable to have the implants. Before any treatment begins, we will conduct an assessment to ensure that you are able to have tooth implants. It is essential that you care for your tooth implants, in order for them to last for as long as possible. The correct way to care for your tooth implants is to brush twice a day, whilst also flossing once a day and attending regular check-ups. 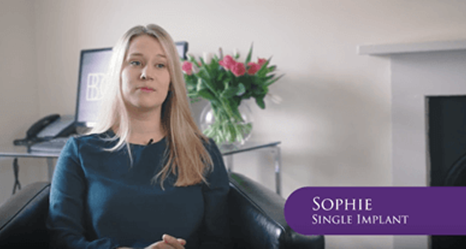 Complete our enquiry form below to arrange a call back from one of our dedicated Treatment Co Ordinators and start your treatment journey today.